EYFS Characteristics of Effective Learning. EYFS Prime Areas of Learning. EYFS Specific Areas of Learning. In the tracker you record your summative judgements which generate an age-related and cohort-related outcome score. Data from each child’s tracker populates the Reports Section enabling you to produce reports to show attainment and progress at pupil, class and cohort level as well as filter for different criteria. The EExAT assessment statements are developmental from Birth – 5+ years. They are precise statements from which to assess each child’s attainment. To support the accuracy of this judgement, the assessment statements are supported by over 400 exemplification film clips, including children with SEND. This builds practitioner knowledge and secures more consistent judgements across the team. In EExAT you have a comprehensive system for documenting children’s learning. A web app enables one click access, so that learning can be captured in the moment, wherever and whenever it occurs. You can upload written observations, notes, images and video clips into a Class Evidence Bank to demonstrate progress. This evidence can also be submitted into a Schools Evidence Bank to support moderation activities. EExAT enables you to create online Learning Journals which you can share with parents. The journals are attractive and include photos, short films, observations and notes. Through the Parent App, parents engage in their children’s learning journey by sharing images, observations and comments. Parents are also able to contribute to the Journal by adding their own images and comments. As part of the annual fee, each school/setting receives a half-day training for one person. This training is mandatory year or year as it enables the EYFS Leader/Manager to gain a thorough understanding of the system and any upgrades and developments. In addition, we have a technical helpline to support any system issues that arise. For two or more schools/settings working together, you can choose this additional feature which allows a Lead School, Lead Setting or Local Authority to access the evidence and data of all the schools/settings in the group. It enables the Lead School, Setting or Local Authority to analysis all of the data from all of the schools/settings in one place giving access to the anonymised Running Record Report for each school in the group and a shared bank of evidence to support consistency of judgements and moderation discussions. 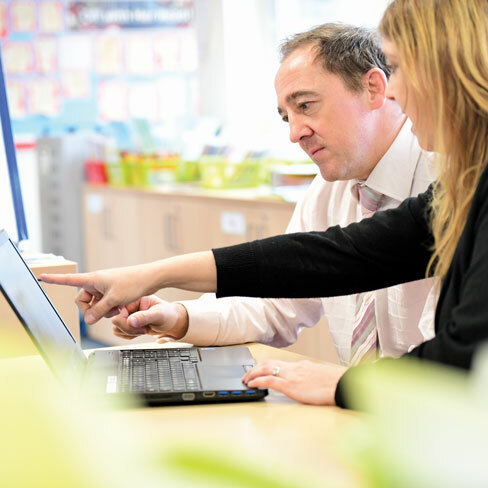 For groups of six schools/settings or more, you can choose our Premium Service whereby you receive an additional two half days training on-site. This is focused on good assessment practice to help Practitioners, Middle and Senior Leaders maximise all aspects of the system and the data it provides.